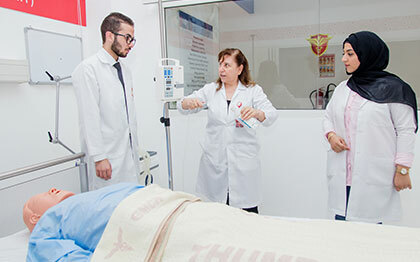 The Center for Advanced Simulation in Healthcare (CASH) at Gulf Medical University is a multidisciplinary educational facility that provides high-tech simulated and virtually created hospital set-up for clinical and communication skills teaching and training for all health care professionals. 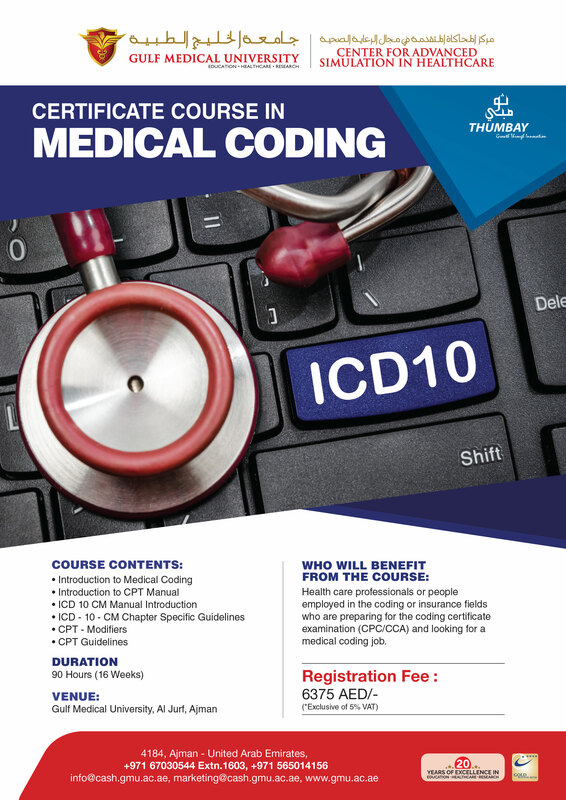 The GMU Simulation Center offers Training Programs & RCPE Online Courses to doctors, nurses and other health professionals. 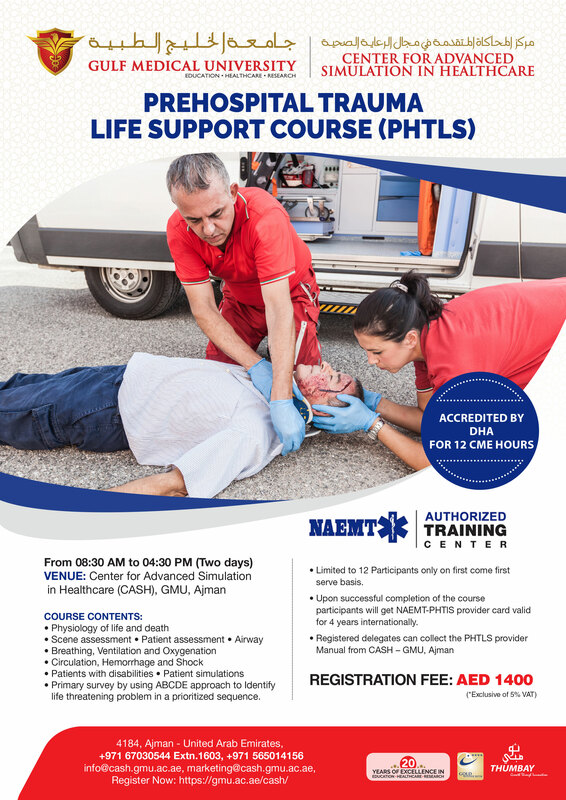 CASH is an AHA-accredited life support training site which offers BLS & ACLS courses regularly as well NAEMT Accredited training Site which offers PHTLS. 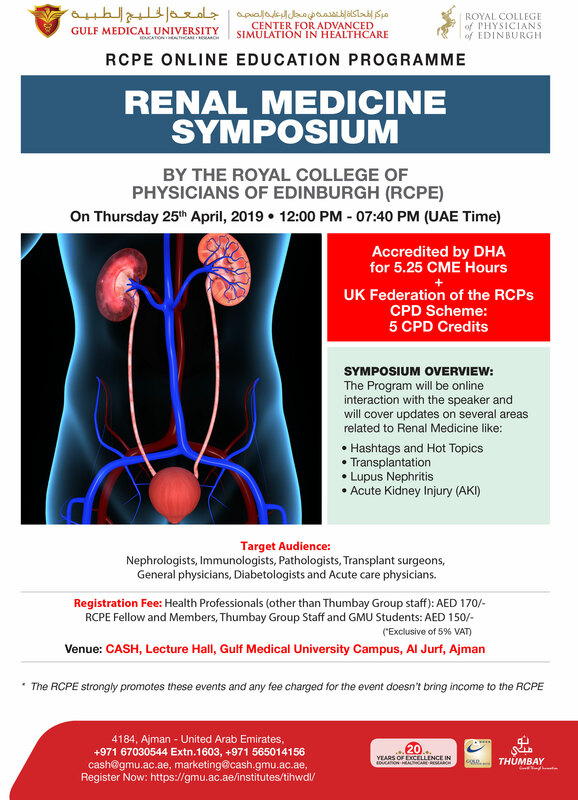 CASH officially declared as an International centre to run MRCPUK PACES examination twice annually. CASH is a member of simulation related professional bodies like SESAM, ASPE, ASSH, SSH.